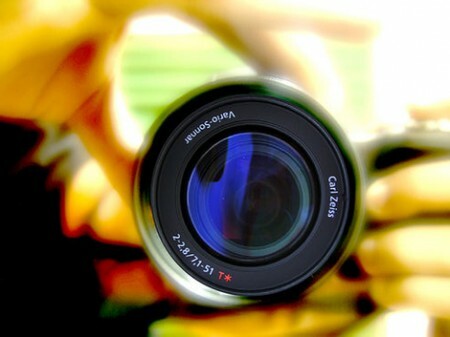 Have you ever wondered what a very young boy sees when his mother is staring at him through a camera lens? I don’t mean the digital cameras that do the looking for you, leaving your face fully visible as you press a button. I’m thinking of cameras that used film, had range finders, light meters and a combination of aperture width, shutter speed and focal length adjustments – all to be coordinated by eye, hand and experience. My mother excelled at photography, and over the years she used many types of cameras from simple Kodak snapshooters, as I thought of them, to the Polaroid instant models to a wonderful Zeiss Ikonta. But the masterpiece of them all, my mother’s tool of choice to make her amazing pictures, was the Speed Graphic Pacemaker Press Camera. All the pro’s used it. By today’s standards, when a camera fits into a square inch or so of a mobile phone, the Speed Graphic was off the Richter scale in size. Here was a large boxy instrument, filling about half a cubic foot of space, with a frying pan flash reflector sticking up for extra reach. When one of these machines was aimed at you and blasted your eyeballs with a explosive flash, you knew you’d been caught forever. And it was no little, low resolution image. You were there in startling clarity on one of those 4 X 6 film sheets encased in a thick cartridge that slid in and out of the camera’s backside. This was not a machine to trifle with. My mother used the Speed Graphic whenever she could but shifted to her smaller cameras when more subtlety or stealth was required to get the shot she wanted. The big box was with her on family gatherings and came along when we headed to California or Florida in the Buick Roadmaster. With the compact Zeiss or even the Polaroid she managed to get good shots at business parties in our home when she wore her spectacular bright red evening dress, and, of course, she captured the public events, graduations, awards and other ceremonies. I most remember when she turned a glass Cyclops eye on us, framing my brother and me at moments she thought were especially photogenic, funny, touching. I often found myself looking straight into that deep eye with its biting shutter ready to snap. Or I might be absorbed in building a sand castle, caressing a kitten or trying to launch into flight like Superman, when I would hear off to one side the clicks that produced pictures destined for many thick-papered albums. I imagined from a very young age that I was always being watched and judged by someone, no matter how alone I might be. The frequent, often unexpected presence of a camera recording private moments only reinforced that idea. I felt constrained to look pleased for the lens, glad of its intrusions, cooperative with its mechanical demand for a stillness of dragging seconds. There was one pictured day that I happen to remember out of so many. Perhaps six or seven, wearing a drab brown fall jacket and knitted hat, even though I was indoors, I was feeling lonely and miserable and stared out the cinemascope windows of our living room. Our street was empty on this cold, gray, wintry day. I don’t know what I was thinking, but the day seemed well matched to my mood. Then I was suddenly alert to the approach of my mother and realized she was crouching near me to get a good angle on my gloom. I turned to look at the big eye and the black box gripped tightly in my mother’s hands and just stared. Years later I looked over the shadowy studies from that dark afternoon and saw a boy looking as depressed as he could, not disguising his feelings, perhaps wanting more than ever to show what he really felt. From that early age, I suppose I got the habit of showing this gloomy mood, even a bit self-consciously. Perhaps it was a way of attracting attention because I knew it would merit at least a beautiful photograph. Once my mother and I were looking through a pile of old photos tossed into a cardboard box and kept in a series of closets in different houses over decades. I pulled out one large image that must have been taken with the Speed Graphic – it perfectly matched the size of those enormous negatives. There was little three year-old me, crouched down on a boulder in a small brook, crying my heart out. At that time, we were on a vacation in Maine – I have many brief scenes of that trip in memory but not this moment. I’m sure my older brother had just punched me out of a game he was playing with the other kids his age who lived down the dirt lane from the cabin we were renting. Whatever the cause, there I was in total misery. My mother glanced at the picture and laughed a little. – Oh, she said, how like me to take a picture instead of going over to you -. True enough, that’s the way she was then, and there wasn’t anything to be done about. One Friday afternoon a few years after the shadowy pictures were taken, something went wrong with the Speed Graphic. I have no idea what it was, but she took it down to “our” camera shop, run by its friendly owner. On Monday, she drove me downtown with her to pick it up, but what we found was only the burned out hulk of that sprawling store on Main Street. Everything was a total loss, and the Speed Graphic had been melted to a shapeless charred mass by the intense heat of that raging fire. So it was gone and never replaced. I can’t say I ever missed it. What are the images of your childhood that come most vividly to mind? Yes, there is some beautiful imagery in here — the cyclops eye sticks out in my head particularly. I’ve just finished an Ann Beattie book called “Picturing Will” — a friend of mine sent it to me, thinking it would appeal, and it did, though I couldn’t shake the general feeling of doom that it kept bringing on. In it, the mother is a photographer and there is this sense of distance (well, it becomes more than a sense) from her young son, Will. It’s still fresh and your memories mesh with the story in my mind. Just found you and visited. A nice blog. BTW, I love how you wrote this post. It is beautiful.